Director – Ron Howard, Screenplay – Bob Dolman, Story – George Lucas, Producer – Nigel Wooll, Photography – Adrian Biddle, Music – James Horner, Visual Effects – Industrial Light and Magic (Supervisors – Micheal McAllister, Dennis Muren & Phil Tippett), Special Effects Supervisor – John Richardson, Makeup Effects – Nick Dudman, Production Design – Allan Cameron. Production Company – Lucasfilm/Imagine Films. After she receives a prophecy that a child will be born that will have the power to destroy her, the evil queen Bavmorda sets out to destroy all newborn babies in the kingdom. One mother is killed while trying to flee Bavmorda’s killers but her baby Alora Danan floats unnoticed downstream into the land of the Nelwyn dwarf people where she is found by the farmer Willow Ufgood. The people of the village puzzle over what to do with the child and so Willow accepts a delegation from the village elders to return the baby to the lands of the Daikini (normal-sized people). As Willow sets out on his journey, joined by the wily warrior Madmartigan, he is plunged into a massive conflict that mobilises the armies of several kingdoms. For at least the end of the 1970s and the early half of the 1980s, George Lucas was the leading light of cinematic science-fiction and fantasy. Lucas made Star Wars (1977), which revolutionised screen science-fiction and brought a return to the unabashed gee-whiz enthusiasm of serial space opera. Lucas went onto build Star Wars into a saga with the two sequels, The Empire Strikes Back (1980) and Return of the Jedi (1983), and then turned his attentions to serial-type adventure heroics with Raiders of the Lost Ark (1981) and sequels. These two franchises showed George Lucas with a astute ability to distil and repackage the pop culture of a previous generation. However, outside of the Star Wars and Indiana Jones sagas, George Lucas’s other ventures into genre filmmaking were decidedly shaky. There was the notorious Howard the Duck (1986) flop, which became an industry joke for several years; the quite good Labyrinth (1986), which nevertheless flopped; and then Willow. After the failure of any of these to ignite another science-fiction/fantasy franchise, Lucas returned instead to the commercial safety of given product and spun the Star Wars saga out with various Ewoks tv movies, three animated tv series, a host of books and a mountain of merchandising overkill, before finally returned to the Star Wars series with underwhelming results in Star Wars Episode I: The Phantom Menace (1999); while the Indiana Jones saga was spun off as a tv series The Young Indiana Jones Chronicles (1992-4), sundry tv movies and then theatrically revived with the disappointing Indiana Jones and the Kingdom of the Crystal Skull (2008). The string of Lucas flops was still continuing well into the 2010s with the poor box-office and terrible critical response to the likes of Red Tails (2012) and Strange Magic (2015). Willow was a clear attempt on George Lucas’s part to create another epic fantasy saga. However, it amounts to little more than an attempt to do another Star Wars with fantasy instead of science-fiction. Unfortunately, all that George Lucas has ended up with is a series of shallow J.R.R. Tolkien clichés. Tolkien himself was never entirely original – The Lord of the Rings (1954-6) is a clever distillation of principally the Teutonic Niebelungenlied and Icelandic Eddas. However, Lucas comes to Willow by bouncing off sub-Tolkien imitators like Terry Brooks, Robert Jordan and David Eddings and shared universe sword-and-sorcery fodder like the Dragonlance and Thieves World twaddle. By this point, Lucas’s material is coming at least fourth-hand and is entirely lacking in any creative depth. Case in point – most Tolkien imitators make a token attempt at giving a linguo-historical depth to their world but in Willow, characters and creatures are named after American film critics! For the Star Wars saga, George Lucas went to Joseph Conrad’s famous myth archetype analysis The Hero of a Thousand Faces (1949) and extracted the core of a proto-myth to build his characters around. What nobody appears to have told him here is the distinction between an archetype and a cliché. When one plays spot the genre in-reference in Star Wars, it is Lucas inviting the genre audience into a shared nostalgia; in Willow, the nostalgia quotings have become more like a dot-to-dot game in lieu of a plot. There is a Ten Commandments Moses-in-the-bulrushes beginning; the Tolkien-like quest of little people setting out on an epic-size adventure in a big people world; the encounter where the Brownies tie Willow up is straight out of Gulliver’s Travels (1726); and the fairy is a dead ringer for Glinda in The Wizard of Oz (1939). Lucas is not even above stealing from himself – the Aldwyn’s pep talk to Willow sounds distinctly like another “Trust your feelings, Luke” speech; General Kael is warmed-over Darth Vader; the cart chase scene is pure Indiana Jones; and Val Kilmer is cast with a distinct eye towards throwing in a Han Solo character. A substantial part of the problem with Willow is director Ron Howard. Ron Howard had come from stardom as a teen actor on tv’s Happy Days (1974-84) and parlayed his clout there to directing two successful comedies Night Shift (1982) and Splash! (1984) before finding some critical acclaim with the banal Cocoon (1985). Ahead for Howard would be the likes of Parenthood (1989), Backdraft (1991), Far and Away (1994), The Paper (1994), Apollo 13 (1995), How the Grinch Stole Christmas (2000), the Oscar-win of the entirely overrated A Beautiful Mind (2001), the supernatural Western The Missing (2003), The Da Vinci Code (2006), Frost/Nixon (2008), Angels & Demons (2009) and Inferno (2016). While Howard has increasingly established himself with a certain respectable mainstream acceptability, his films bog down in a blandness and feelgood sentiment posed in lieu of any thought-provoking depth. The problem with Willow is that Ron Howard directs it more as a comedy than he does as an adventure film. 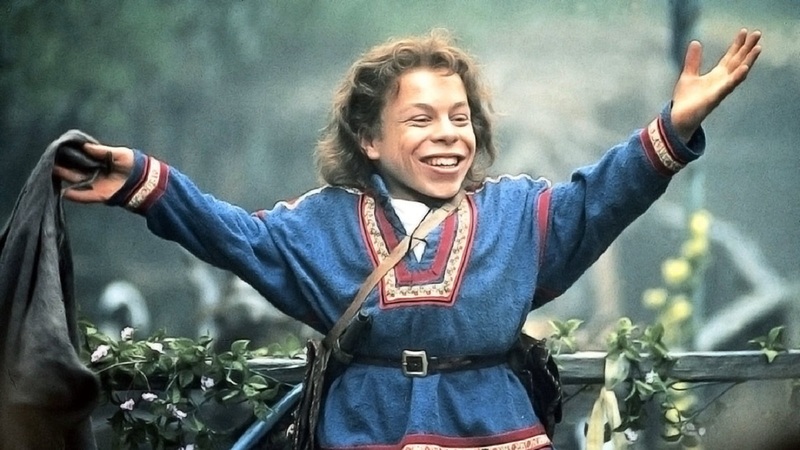 Willow comes with much in the way of light audience-pleasing humour, especially in the annoying characters of the two brownies that exist for no purpose other than there are usually small furry sidekicks in Disney films, and an entirely comic cart chase sequence. However, with Ron Howard at the helm, it is all so fluffy and light-hearted that without anything to hold it down as a script other than clichés, the very slightness of the exercise blows away. George Lucas balanced humour and pastiche in Star Wars in a way that enervated the mythic underside; Ron Howard’s failing is that he never takes it seriously and as a result Willow has all the substance of candyfloss. Howard later got the opportunity to direct an actual Star Wars film with Solo: A Star Wars Story (2018). Willow certainly has a lush, epic score, some beautifully composed scenery and slickly excellent effects work from Industrial Light and Magic. 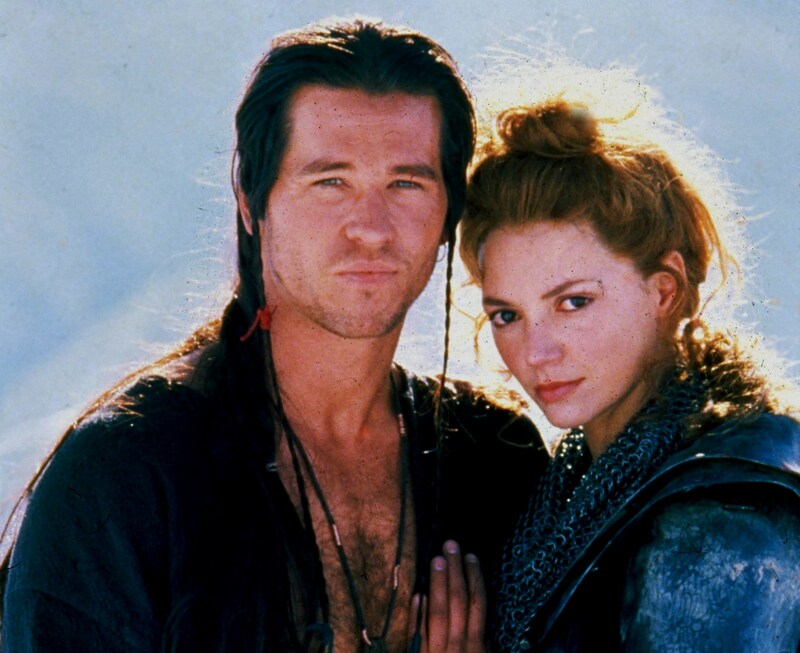 Val Kilmer has a certain cockiness, although his met-on-the-set wife Joanne Whalley is underused. Like Peter Jackson in The Lord of the Rings trilogy and the tv series’ Hercules: The Legendary Journeys (1994-9) and Xena: Warrior Princess (1995-2001), Lucas and Ron Howard went to shoot the film in New Zealand, which lent its lushly unspoiled countryside to create a primeval land of fantasy. Ron Howard’s other genre films are:– the mermaid comedy Splash! (1984); Cocoon (1985) about a meeting between geriatrics and extra-terrestrials; Apollo 13 (1995) based on the true life 1970 space mission disaster; the Dr Seuss adaptation How the Grinch Stole Christmas (2000); the supernatural Western The Missing (2003); The Da Vinci Code (2006) based on the historical/religious conspiracy bestseller and its sequels Angels & Demons (2009) and Inferno (2016); and Solo: A Star Wars Story (2018).